“Forensic archeology is the collection of evidence for use in a legal case. This can be anything from investigating a single murder to genocide or war crimes. It’s hard to believe that there has been no systematic search for the six million victims who perished in the Holocaust. 800,000 people were murdered here at Treblinka and their bodies were never found. It’s time we started looking. I’m a scientist and while I obviously feel the same emotions as everyone else when I read about the atrocities committed during the Holocaust, I need to be able to do my job objectively. So I need to shut out these emotions sometimes, and let the evidence speak for itself. 1) For any rational observer it is indeed “hard to believe” that there has been “no systematic search” for the bodies of the alleged 6 million holocaust victims. Since it is a given in murder cases that crime investigators do their best to secure technical and forensic evidence, and most importantly the physical remains of the victim, one would think that such a systematic search for bodies – as well as the weapons of crime, the remains of the alleged homicidal gas chambers – would have been appropriate already in connection with the Nuremberg Trials. How come, Ms. Sturdy Colls, that no such elementary technical-forensic investigation was carried out in this case of (alleged) murder of 6 million people? 3) If Ms. Sturdy Colls had bothered to actually read the holocaust revisionist literature on the Aktion Reinhardt camps published in the last ten years she would know that its critique of the orthodox holocaust historiography concerning the alleged “extermination centers” of Bełżec  and Sobibór  is based on the surveys conducted at these sites by the renowned Polish archeology professor Andrzej Kola. While Kola pays lipservice to the holocaust credo, his published results leaves no doubt that the orthodox historiographical picture of these camps is untenable, that the alleged gas chamber buildings never existed, and that the number of people who perished and are buried at these sites is much smaller than claimed by holocaust historians. The results of Kola’s research at Sobibór indeed proved so embarrassing to the defenders of the officially sanctioned historiography that the article in which they were presented (in 2001) has never been officially translated. It was only through the study on Sobibór which I co-authored with Jürgen Graf and Carlo Mattogno that the non-Polish-speaking world finally learned about them in 2010. It is most revealing that the leading mainstream expert on Sobibór, Jules Schelvis (who currently is appearing as a joint plaintiff (Nebenkläger) at the Demjanjuk Trial in Munich), in all the revised editions of his – otherwise very thorough – Sobibór. A History of a Nazi Death Camp to have come out since 2001  does not mention with so much as a word the research of Prof. Kola – this despite the fact that Schelvis, who maintains contact with several Polish holocaust museums and institutes , cannot possibly be unaware of it. Surely Ms. Sturdy Colls is not suggesting that Prof. Kola’s research is “spurious archeology”, or that he is somehow in league with evil “Holocaust Deniers”? Or in plain English: If established historiography is contradicted by hard archeological evidence it needs to be reexamined and then discarded or rewritten. Even if Ms. Sturdy Colls’ future results would happen to support the revisionist transit camp hypothesis rather than the orthodox “death camp” hypothesis it is her scientific duty to present them openly and without falsifications. A word of caution though: Ms. Sturdy Colls should be careful not to publicly announce any “inconvenient” results until she is safely returned to the UK, as Poland punishes “Holocaust Denial” with up to 3 years in prison. Perhaps better then to proceed as Professor Kola: Pay the necessary lipservice and let the results speak for themselves. In 2007-2008 the abovementioned three archeologists (Gilead, Haimi and Mazurek) attempted to do what Kola had not been able to do: to find the alleged gas chamber building at Sobibór. To their help they had experts in geophysics, high resolution metal detection, a magnetic gradiometer, a terrain conductivity meter, ground penetrating radar, aerial photography, and GPS mapping devices – exactly the “most up-to-date scientific techniques” which Ms. Sturdy Colls is talking about. Despite the fact that the team from the outset “knew roughly where the gas chamber was located“, and that the area they had to investigate amounted to less than 3 hectares, they had to conclude in 2009 that “the location of the gas chambers is a complex issue that has to be solved, an important objective for future archaeological research at Sobibór“! In the August 2010 issue of Reader’s Digest Yoram Haimi put it even more bluntly: “we’re still looking for the gas chambers.”  Another word of caution: It is easy to make a fool of oneself if one clings to scientifically indefensible dogmas! I can only wish Ms. Sturdy Colls good luck in her work, which is precisely the kind of effort that we holocaust revisionists welcome. 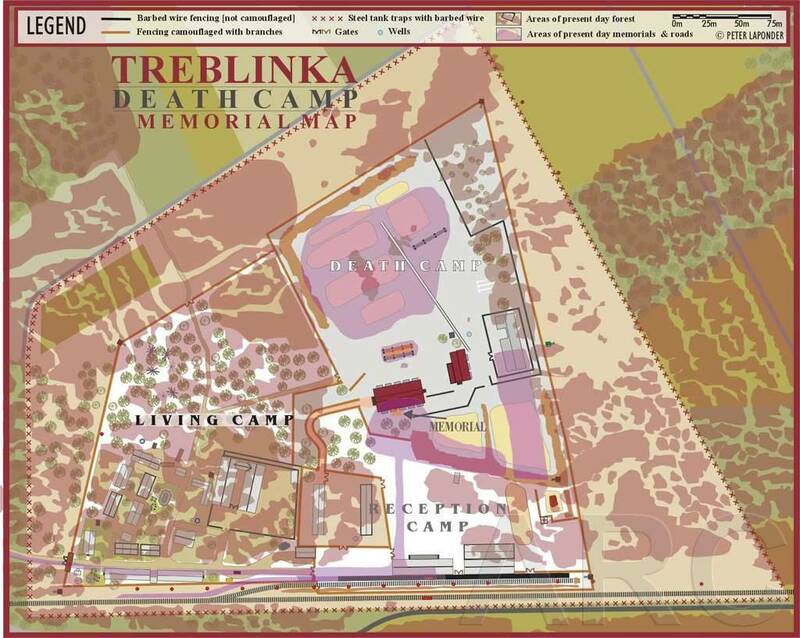 In the meantime I advise her to read Carlo Mattogno and Jürgen Graf’s study Treblinka: Extermination Camp or Transit Camp?, especially the chapters on previous forensic examinations and the alleged mass burials and cremations (pp. 77-110, 137-157). J. Schelvis, Sobibór. A History of a Nazi Death Camp, Berg Publishers, Oxford 2007; J. Schelvis, Vernietigingskamp Sobibór, De Bataafsche Leeuw, Amsterdam 2008. Cf. J. Schelvis, Sobibór. A History of a Nazi Death Camp, op.cit., p. xiv. Plate 2 in the unpaginated photo section following p. 144 shows Schelvis himself at the Sobibór memorial mound in a picture dated 2006. I. Gilead, Y. Haimi, W. Mazurek, “Excavating Nazi Extermination Centres”, Present Pasts, vol. 1, 2009, p. 22. J. Graf, T. Kues, C. Mattogno, Sobibór. Holocaust Propaganda and Reality, op.cit., pp. 162-167.